Akash was extremely confused about choosing right insurance plan. All insurance agents were offering different plans with claim of best for him. After our office hours, Akash and I were having coffee. He is my college mate who works in one of the leading IT sector company. Earlier regarding his doubts, he had consulted multiple insurance agents but was never able to reach the final conclusion. In a hope to get some help he put forward his doubts to me and from here onwards our discussion started. People often get confused between “insurance” and “Insurance linked Investment” and they often take wrong decision. 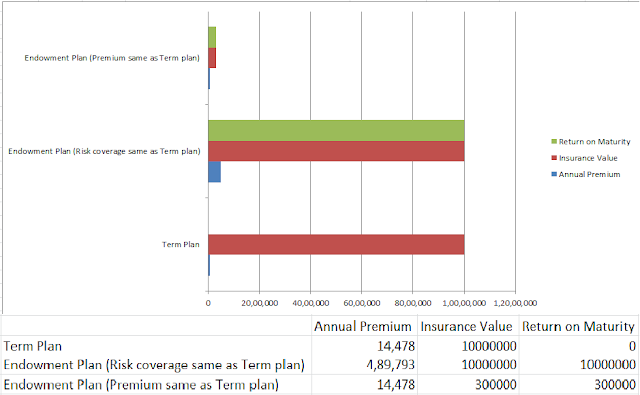 Pure insurance policies are called term-plan. They are just like your car/motor-bike insurance. If some unforeseen event happens then your insurance company pays you else after completion of tenure they owe nothing to you. Realizing this discontent feeling of customers, all insurance companies have floated endowment plans. 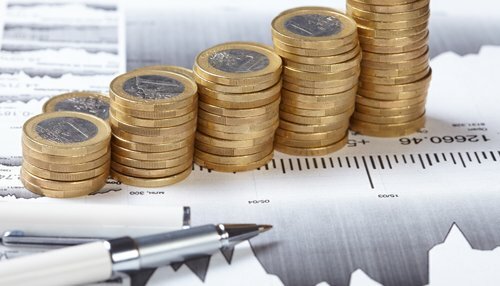 Under this scheme, they cover risk and also return lump sum money at the end of the tenure. 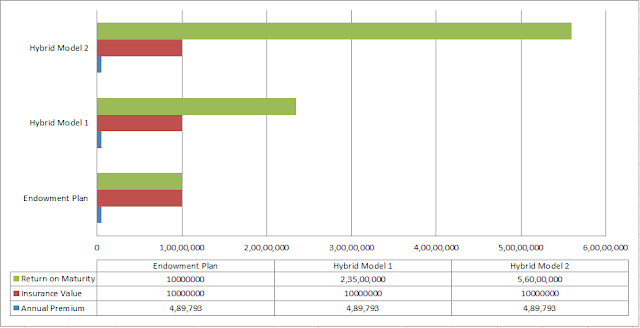 Policy buyer feels very happy and they prefer endowment plan over term plan. 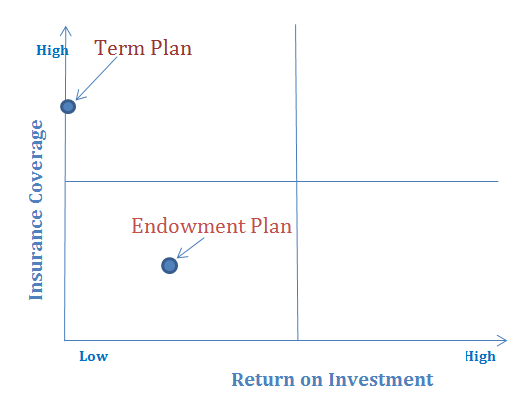 Even your agents will always emphasis on endowment plan (why?). Mr. Shyam is a 25 year old working professional. According to LIC term plan calculator he needs to pay ₹14,478 per year for a 20 year plan for the risk coverage of ₹1 Cr. The Insurance Company promises to pay him ₹1 Cr in case of eventuality during policy holding period. Term plans do not have any survival benefits and hence even after paying a total sum of ₹2,90,000(20 X 14, 478) Mr. Shyam wouldn’t get anything at the end of the tenure. At the same time, endowment plan promises to cover risk as well as to pay lump sum but not at the same premium cost or same coverage value. To avail the same risk coverage (₹1 Cr) LIC has an endowment plan which asks for whopping premium amount of ₹4,89,793 per year. If Mr. Shyam sticks to his earlier premium value then risk coverage will reduce down to approximately ₹3 lac. Following chart is showing these three parameters side by side. At this point of time Akash was assured of at least one thing that he won’t be going for term plan. After all endowment policy may be charging higher premium or covering lesser risk but at least it is saving for my future. There was a visible sign of relief on his face. However, this didn’t last long enough. He got kick of another black coffee when I told him that you can get same amount of risk covered with more than double return through a hybrid approach. He excitedly jumped out of his place and asked me how? Let us see the illustration below to understand how it works. Suppose Mr. Shyam decided to pay term plan premium of ₹14,478 and the remaining amount ₹4,75,315 (=4,89,793 – 14,478) as fixed deposit with 8% interest rate (recurring scenario), then upon maturity after 20 years the total sum will turn out to be ₹2.35 Cr. This was simply mind blowing for Akash. Why the hell people put their money in endowment plan? Why all agents suggest one or other flavour of endowment plan as best plan? Reason, whole insurance business agency is driven by agents and as company makes more profit in endowment plan so, agents get better commission in endowment plans. A common man very easily gets carried away with the perception of double benefit (Insurance + Investment). Let us see, how all these appear on the chart. This was mind blowing revelation for Akash. He was not just out of his confusion but now he found probably the smartest solution in the domain. 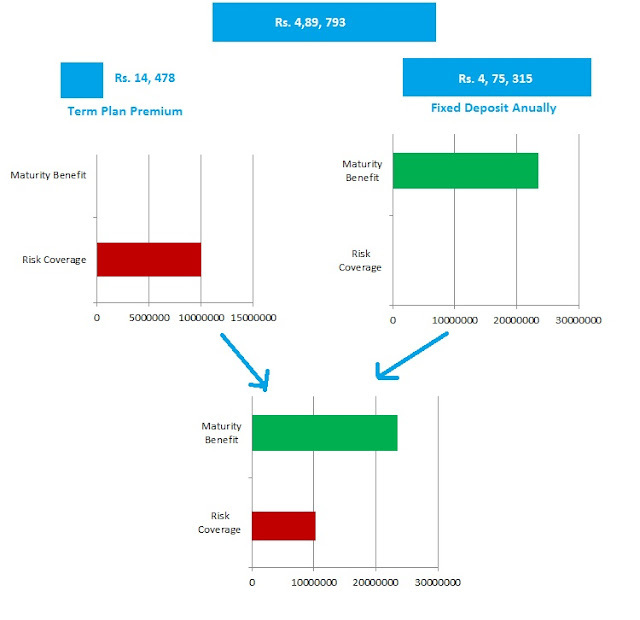 I continued the talk and asked him “Akash, what about a strategy which will cover the same risk and returns you more than 5 times of endowment plans for the same premium?” He was flabbergasted. How come that is possible? By this time I was an established expert of the investment domain. I started explaining to him next layer of mystery with a sip of coffee. 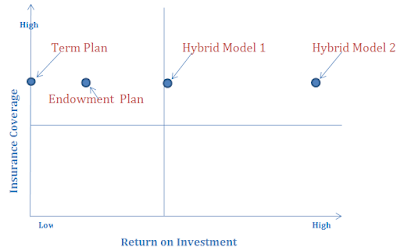 See, by this time our hybrid system is bundled with a growth engine called Fixed Deposit. If we create a system with better growth engine then it will return even better. Do you mean stock market? -asked Akash. Yes, I am talking about stock market. If we are committing for 20 years then why not stock market. Stock market is known to return better than any other asset classes or instruments if we stick to it for long term. Typically, if you follow the right investment strategy then in long term Indian stock market can return you somewhere between 15-20% year on year return. Even with conservative estimate of 15% your new hybrid approach will return you nearly ₹5.6 Cr at the end of the tenure. The same way you become familiar with all the roads and streets of the city overnight by help of Google GPS based navigation system. Yes, there are systems available now days to help in investment just like GPS based navigation system. They are called robo-advisors. In western countries robo-advisory is growing very fast and conventional wealth managers have started feeling threat from them. In India Safe Trade has Active Portfolio Service which just works like Google GPS based navigation system. It knows exact status of your investment and cash availability and based on that it recommends you to take last mile actions. Just like GPS system asks you to take left and right and you reach to your destination in fastest possible time without knowing the city or getting help from anybody. It was too many eye opening revelations for Akash as was evident from his face. Suddenly, one typical issue struck Akash’s mind. What about tax saving? All these insurance companies have tax benefit on the premium. I further explained him. There is a cap on maximum amount of 1 lac on which you can claim tax benefit. Typically these brackets include all other tax saving options like EPF, PPF etc. So, you can’t save tax on all the money if you are paying ₹4,89,793 as premium. Definitely, you can claim tax saving on term-plan premium. You may need to pay tax on the earning of fixed deposit (but there are tax consultants to help you). Don’t think that your extra earning of ₹1.35 Cr will be still large even after paying the tax with any rate? Here is one more point about the Hybrid Model 2. Your investment vehicle is stock market so all the earning is tax free if you are booking profit after one year. System like Safe Trade takes care of those factors and they minimize (almost negligible) the tax burden smartly for you. 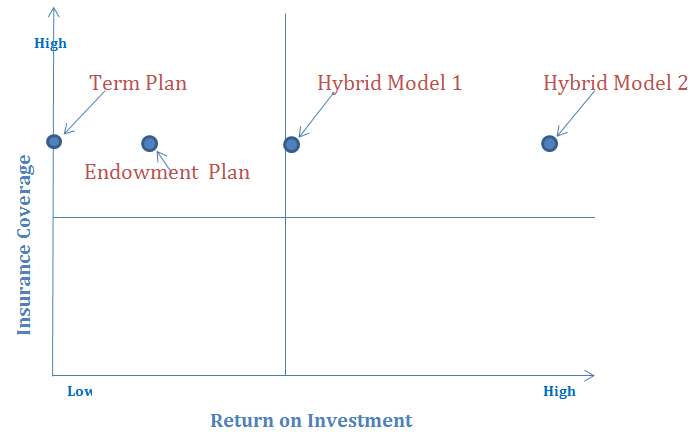 You have another reason to choose Hybrid Model2 (Term plan + Stock market) over Hybrid Model 1 (term-plan + FD). Akash was totally an enlightened person by the time. DISCLAIMER: To make the narration of the story simple we have not declared different terms & conditions for different types of policies. So, actual premium amount may vary for individual to individual. However, overall gist will be applicable for most of the scenarios.